For over 30 years our practice has been dedicated to achieving Beautiful Smiles for the entire family. We feel as though it is especially important for children to develop an optimum oral hygiene regimen early on in life. By starting this progression at an early age you are helping your child lay the foundation for a lifetime of positive dental habits & significantly reducing their risk of potentially costly & invasive dental work down the road. Led by experienced New Jersey dentist Harold A. Pollack, DDS, our team at Beautiful Smiles takes a proactive role with our adolescent patients to teach them the value of preventative dental care and why it is important to them. When Do I Schedule My Child’s 1st Dental Appointment? We find that many parents are unsure of when to bring their children to the dentist for their initial appointment. Our philosophy at Beautiful Smiles is to generally commence treatment from 2 1/2 to 3 years old. 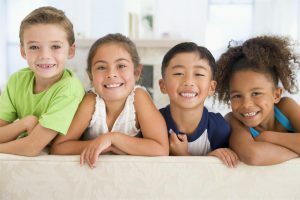 During your first visit with our team, we will: review family medical & dental history, conduct a thorough oral examination to measure growth & progression, clean the teeth & educate on optimum preventative care, assess risk of tooth decay, and answer any other personal questions that you may have regarding your child’s health. As children grow and develop, (usually within the age range of 6-12 years old) they will gradually lose their primary teeth and will start to develop their permanent replacements. 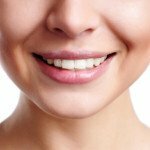 Since these permanent teeth will be their only set for the duration of their lives, regular dental visits are pivotal in maintaining a healthy smile. Each child’s dental needs will vary, and the frequency of treatment will depend upon certain factors such as eating habits, how clean the teeth are kept, past treatments as well as anything else that may impact oral hygiene and function. Professional dental services such as cleanings, fluoride treatments and sealants are common solutions that can save both time and money.